We are experiencing rapid technological change in many areas that will have an effect on the practice of medicine. Societal changes are also taking place that will impact how health care is delivered in the future. 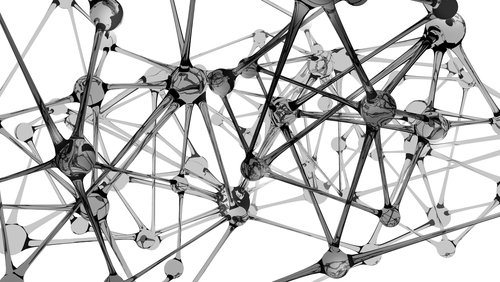 As our knowledge grows, technological advances are speeding up geometrically. This paper discusses 28 areas that will have the most significance for medicine and for the requirements of medical devices and products. 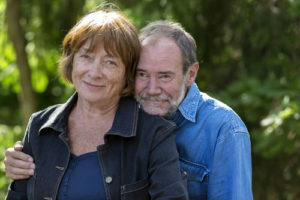 Care is moving from the hospital to the home. 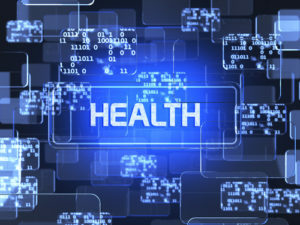 Health data tracking will become ubiquitous. 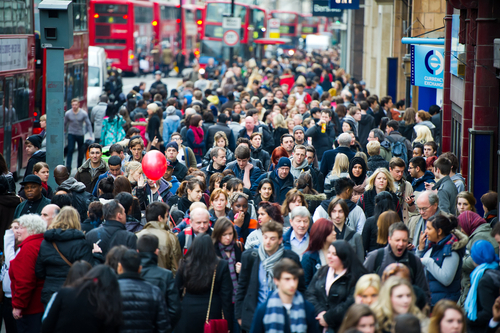 Data and analysis will have a big impact on the health of populations, not just individuals. There are opportunities to innovate the process of care delivery. Genomics will become an essential part of individual care. Personalized medicine will become standard. The focus will be on preventative health. 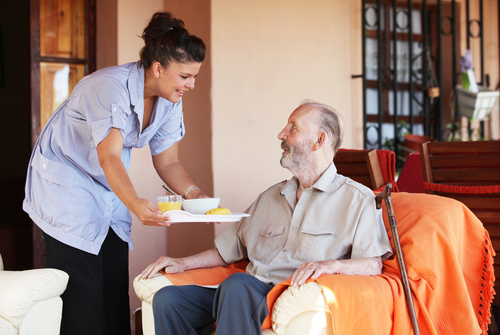 Individuals will have to take an active role in their own care. Most physiological monitoring and testing will be done non-invasively. Software algorithms will be used to enhance electronic signals to radically improve medical imaging. Materials with extraordinary properties are being developed and are close to becoming economically feasible. Human tissue will be able to be grown and used for regenerative medicine. Bio-electronic prostheses will augment physical capabilities. 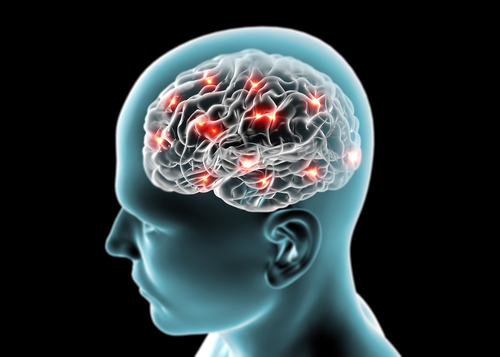 Optogenetics will provide cures for addictions and therapies for other brain diseases. Traditional health care delivery models will give way to innovative alternatives. Computers and electromechanical devices will be able to be controlled by thought. 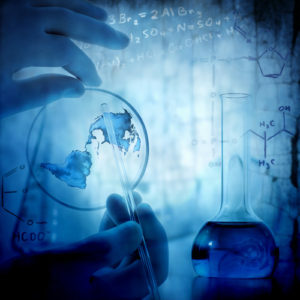 Nanotechnology will play a significant role in many areas of medicine. 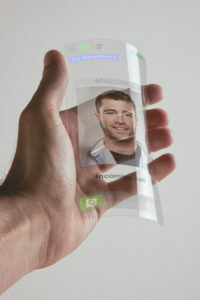 Flexible electronics will remove constraints on device design and will enable new functionality. Implanted devices will be powered by the body’s own energy. Telemedicine will provide a more efficient means of delivering care. Tests formerly performed by labs will be done with portable, point-of-care devices. Point-of-care diagnostic devices will improve care in developing countries. Robotic surgery will be performed by micro devices injected into the body. Hospitals and health care systems will take a lead role in developing medical device and service solutions. The bulk of research funding will focus on understanding the brain and how it works. 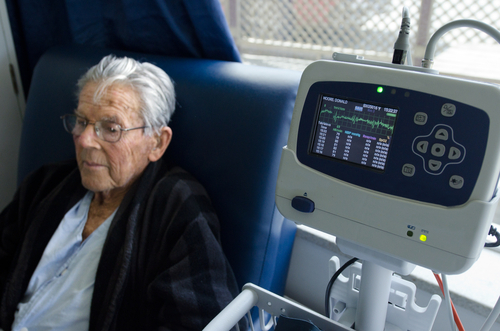 The “internet of things” will enable ubiquitous monitoring of health data. Artificial intelligence will be used to provide expert systems and adaptable therapy simulations. A disproportionate amount of health care spending is on older, often frail individuals. 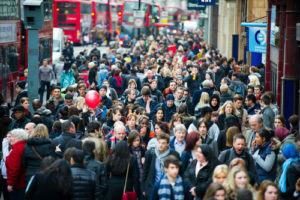 Devices that target this population will provide great opportunity. Designers will need to pay attention to how human abilities – both physical and cognitive – change as we age. Many people will experience declines in their vision, hearing, strength, manual dexterity, and memory. Companies are focusing on employing new digital technology in their solutions for elder care. Advances in digital technology will certainly enable many innovations that will help an aging population. But emphasis must be placed on how these new technologies can be made easy to use by older individuals, and also by their potential caregivers. Designing for simplicity, ease-of-use and intuitiveness will be essential. Understanding cognition will also be important. There is a vast body of anecdotal evidence that suggests we become more resistant to change and to new technology we don’t understand as we age. How to position products through their design so that they relate to the familiar and don’t intimidate the older user will be just as important as making them easy to use. Hospital stays are costly and put patients at increased risk of infection. 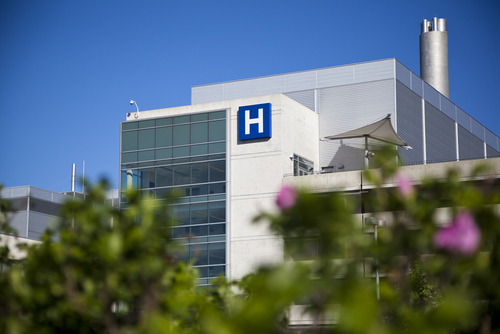 There is a strong movement toward limiting hospital stays. 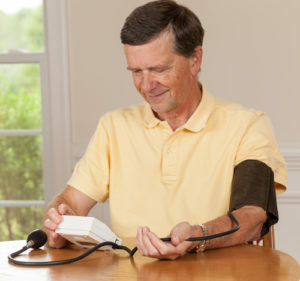 To an increasing extent, patients will be cared for in the home. Most patients and caregivers will not have had the training and the experience of the professionals in hospitals and clinics. Medical products and devices will need to be designed in a way that gives patients and care givers confidence that they’ve operated the device correctly and that it is functioning properly. Easy, intuitive operation and providing clear feedback to the user will be paramount. Products, to be effective and successful, will need to be designed to fit into the home environment and pay attention to the differences in the way they are used in the home as opposed to the hospital/clinic. Medical devices used in the home will achieve greater market acceptance if they have an aesthetic that is appropriate for that environment. Medical device design will be influenced by other products found in the home. Just as with consumer products – where similar functionality is packaged in many different ways to appeal to different market segments – there will be more opportunity to use industrial design to differentiate medical devices. Medical device companies that incorporate industrial design as an integral part of their product development strategy will capture market share, which will give them advantages as leading players while others try to catch up. Patients will be able to enjoy greater mobility when they are not in the hospital environment. This will encourage the design of devices that patients can carry, and that will be unobtrusive even when used in public spaces. The movement of care to the home will also affect testing and diagnostics. Advances in microfluidics and other testing/analysis techniques will allow lab tests to be conducted by patients themselves in their own homes, much as home pregnancy tests are done today. The interest by individuals in recording and tracking information about their health habits is accelerating. The “personal informatics” movement was spurred initially by the advent of smartphone apps that made it easier for individuals to keep track of such things as calories consumed and miles run per day. “Health quantification”, “life tracking” and “data journaling” are other labels given to this activity. As various companies introduced devices that incorporated sensors and accelerometers to capture data automatically, users were freed from the tedium of having to log the information themselves. More and more companies are introducing wearable devices that sense such things as skin temperature, galvanic skin response, heat flux, heart rate, pulse, respiration and blood oxygen level. As a result, interest in tracking health data has burgeoned. The impetus will be to develop products that make tracking of physiological signals completely automatic. This will be aided by advances in sensor technology. Electronic biosensors, optical biosensors, implantable sensing chips, nanoscale stress sensors and other technologies are being developed that will enable automatic capture of multiple physiological functions. Automatic data capture will eventually extend to devices and sensors that are embedded within the objects of our environment, freeing us from worn devices altogether. For example, high-speed video can be used to image the flow of blood in a person’s face, and those images can then be translated to pulse rate. In the shorter term, the design of wearable sensing devices will be embodied in forms that are more like jewelry, and in the form of adhesive patches that incorporate flexible electronics. Tracking an individual’s health data will be augmented by intelligent coaching/advisory software – customizable to the individual – that will interpret the data and offer alerts, explanations and suggestions. The greatest success will be found in solutions that provide motivation to encourage behavior change. Such devices/systems will also be utilized to enhance physical and athletic performance. Electronic biosensors will be able to sense the level of lactic acid in sweat, which will enable athletes to optimize training to make their anaerobic metabolisms most efficient. Systems are also being developed that will be able to determine the level of recruitment of various muscle groups. Such a system would provide the feedback required to significantly improve performance technique, and would also find significant uses in physical therapy. The growth in personal informatics and health data collection will extend to predictive analysis of the health of populations as a whole. 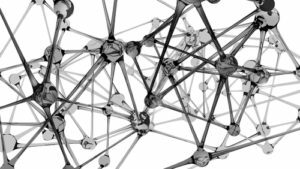 Data generated by individuals will be able to be aggregated and studied for interrelationships. This will have a large impact on both diagnostics and therapies. Aggregated population data will be used to perform “pharmaco-surveillance” to identify hot spots of drug resistance and to study the dynamics of pathogen mutation. Health care organizations and providers have recognized that there needs to be innovation in the process of care delivery. There are opportunities for improvements in access, cost and quality. Medical product companies are beginning to pay attention to the ecosystems that surround their products. A narrow focus on the device itself is giving way to a more holistic approach, one that encompasses not just the product but also the patient experience, the overall procedural efficacy to which the product contributes, and the economics of the product within the healthcare system. Pharmaceutical companies will be integrating vertically within the continuum of care: upstream into diagnostics, and downstream into patient care to offer complete health solutions. Sequencing a person’s genome will continue to get faster and less expensive, to the point where sequencing will become a routine procedure. Advances in genomics will lead to a greater share of medical spending going to diagnostics and a lesser share to therapeutics. As of this writing, the bottleneck in genomics is not in sequencing, but in analyzing and interpreting the sequenced data. Genetic analysis will allow people to focus preventative care on their individual aspects of greatest risk. But the promise of genomics in medicine will not be attained until the analysis/interpretation problem is solved. We expect that to happen in the relatively near-term (three to five years). 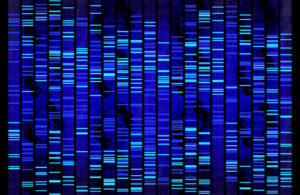 Another challenge facing genomics is in simply storing and managing the vast amounts of data that sequencing generates. Cloud computing and advances in data compression and storage technology will evolve to accomplish this. 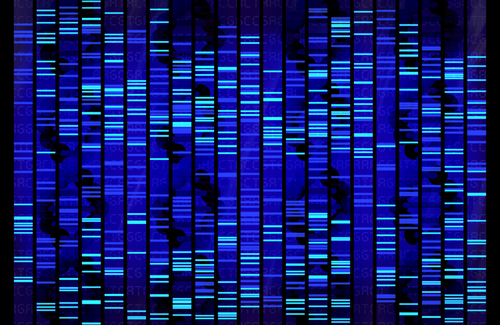 As gene sequencing becomes less expensive and more commonplace, and as sequence analysis gets faster, the data will add to our knowledge of the human body and what affects it by orders of magnitude. 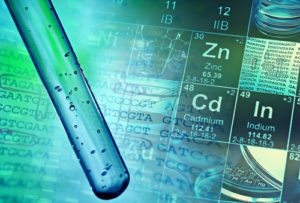 Genetic sequencing and analysis technology is estimated to be at the same point now as computer technology was 50 years ago. But the rate of technological advancement is constantly speeding up. Though it took 50 years to get from room-sized computers to smart phones, it will take a fraction of that time to achieve similar advances in genetic sequencing and analysis. Ethical and privacy issues will abound, which in turn will impact the regulatory environment. 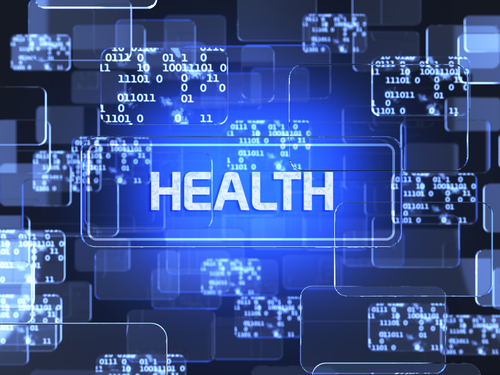 Health data tracking and genomics will combine to enable medicine to be personalized. Generalized treatment will be replaced by treatment and preventative care that is customized to the specific individual. Genetic makeup and history, environment, lifestyle habits, and biometric data will be used collectively to create a “digital you,” against which predictive models can be run to forecast health risk and advise on measures that can be taken to prevent potential health problems. The concept of Systems Biology will expand to encompass all factors that interact to impact an individual’s health. When treatment/therapy is required, it will be targeted, precise, and customized to the individual. Advances in desktop printing of device components will allow wearable devices to be tailored to the individual. Desktop printers will be used increasingly to design customized orthotics for individual patients. Nanomedicine will be used to develop devices for targeted therapies: pinpoint treatment vs. the current shotgun approach. The emphasis in health care is changing from reactive to proactive. Containing health care costs will increasingly rely on maintaining wellness rather than curing a problem that has already arisen. Genomics will form the basis for determining measures that individuals can take to help prevent diseases for which may have a predilection. Ubiquitous health data tracking will enable us to constantly monitor our vital physiological processes over a long period of time. We will have a vast data history for reference and comparison. Health problems will be spotted earlier. Precursors to disease will be recognized and preventative measures undertaken. As we move from the current mode of reacting to existing health conditions to prevention, our medical and health infrastructure will also change. Traditional sources of healthcare will need to compete with new entrants from other industries such as consumer products and telecommunications. Finding ways to encourage behavior change will be the key factor in getting people to live healthier lives. This is a difficult, intransigent problem. There is opportunity for innovative thinking in this area, with few if any realistic, workable solutions currently in place. Advances in personal health technology, combined with the high cost of conventional modes of healthcare delivery, will both enable and force individuals to take more responsibility for their own well-being and disease treatment. Rather than relying exclusively on the expertise of their doctors, patients will become active partners in their own health care. The traditional healthcare community will transition to act more in the role of advisor than interventionist. Patients will be demanding access to and control of their own health data, and will be looking for complete solutions to their health problems, rather than treating various symptoms in isolation. Fluorescence is a phenomenon that is commonly harnessed for use in diagnostics. Nanoparticles that fluoresce have been engineered to bind to a target chemical when injected into the skin. An LED light and a smartphone can read the nanoparticles when they fluoresce. The amount of fluorescence can be analyzed and translated into a measure of the target chemical. (3) Fluorescence in the skin is being used to screen for Type 2 Diabetes. Currently available, mature technology is being used and combined in ways that allow it to monitor various physiological functions without even touching the patient. Engineers at the University of Utah are experimenting with wireless transceivers to develop a system that can measure the breathing of surgery patients, adults with sleep apnea and babies at risk of sudden infant death syndrome. (10) Other methods use sensors placed under mattresses that detect the heart rate, respiration rate, and movement of patients. Non-invasive optical and electrical sensing technologies will be augmented by sophisticated computational algorithms to provide far greater image clarity of human anatomy and physiology. Advanced software will translate, filter and enhance raw data to render clear images of organs, physical systems and even cellular processes. We will be able to isolate and visualize physiological function in real time. Blood flow, gastrointestinal processes, and even synaptic firing in the brain will all be seen, analyzed and evaluated. It will be possible to isolate a portion of a patient’s vascular system, see it in three dimensions, and pinpoint areas of occlusion or vascular wall thinning. 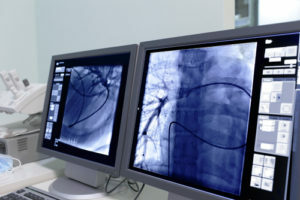 Materials are being developed that will have significant impact on the capabilities of the medical devices of the future. Graphene is one of the most prominent of those materials. Graphene, basically, is a film of graphite that is just one atom thick. Its properties have been understood theoretically for some time, but it wasn’t until 2004 that it was actually isolated in physical form. (12) Graphene has a unique combination of qualities that initially identified it as a potential replacement for silicon in semiconductors. It is extremely strong, light weight, and is an excellent conductor of heat and electricity. Unfortunately, it has proven difficult to produce economically in commercially viable quantities. Significant research dollars are being allocated to solve this problem. One possible use for graphene in medical devices is as a power source, in the form of a “supercapacitor.” Graphene can store an electrical charge quickly, yet release it slowly. Strong, thin, lightweight, flexible sheets of graphene could replace today’s heavy, bulky batteries. This would have a significant impact on the form factor of both wearable devices and implanted devices. Advances in tissue engineering will enable regenerative medicine. Scientists can remove cells from organs leaving non-cellular, scaffolding-like structures. The scaffold structure is then populated with organ cells and a new organ grown. The technique has been used to grow skin for burn repair. Windpipes, bladders, nostrils and vaginas have also been grown using the technique. 3D printers are also being used to create organ tissue. The technique uses lab-grown cellular material, which the 3D printer uses to place cells in precise locations to build a structure. 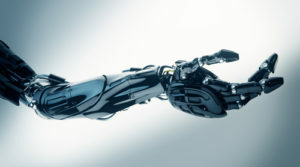 Building upon the technology that will produce prosthetics to restore the function of a lost limb, we will also see products that allow people to enhance muscle function and augment other aspects of their physicality. 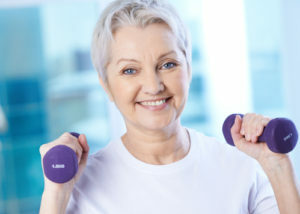 Examples include strength-enhancing devices that allow people to safely lift twice their weight and focusable eyeglasses that give wearers the sight of an eagle. Optogenetics is one of the most interesting and promising of the new technologies in science and medicine. It involves modifying DNA with genes that make light-sensitive proteins. Modifying neurons in this way makes them react when energized by light. The technique allows very precise triggering of individual neurons. As a research tool, optogenetics will enable us to significantly advance our knowledge of how the brain functions. 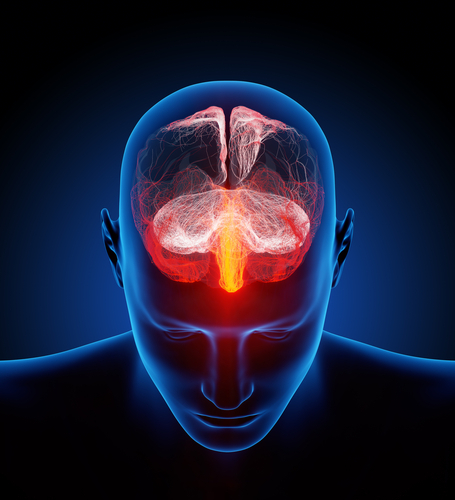 It will also be used to study how new drug therapies work, and as a therapy in itself for various brain disorders. Optogenetics could hold the key for treating addictions, obesity, and other diseases that can be mitigated with behavior change. For example, the brain circuitry that controls hunger and appetite is influenced by two major cell types that have an antagonist effect on each other and communicate opposite signals to downstream systems. It is the balance between the two cell types that controls behavior. (17) Using optogenetic techniques, it might be possible to develop therapies that produce the type of behavior change that is so difficult to accomplish otherwise. Health care that people in the developed world take for granted is often a luxury in less-developed regions. Populations are spread out and little infrastructure exists to reach them quickly. There is a lack of power and refrigeration. Political situations lead to theft and bribery. Cultural norms prevent adequate care (e.g., Muslim women can only be seen by female doctors). Systemic poverty precludes the use of technology the developed world takes for granted. It is difficult for geographically dispersed and remote populations to access health care. These challenges will be addressed partly by advances in telemedicine. Point-of-care diagnostic devices will also have an impact, but only if they can be made affordable for use in developing countries. Traditional healthcare delivery models will give way to alternative methods of care outside of physicians’ offices and hospitals. Health clinics will be established in workplaces. “Retail” health clinics and “concierge medicine” will grow, and they will offer more services. Companies that offer healthcare in the home will grow in number. Concepts such as the “patient-centered medical home” and “care coordination” will become more common. Care models will evolve to impact the “whole person” in providing proper care. Payment systems will also change, from predominantly reimbursement-based to personal payment models. 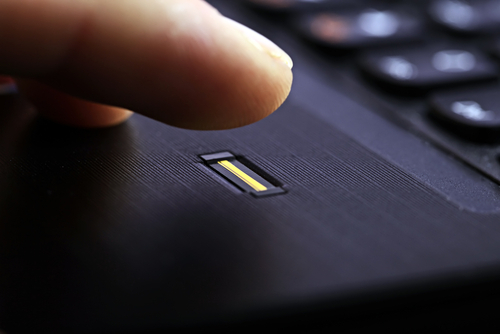 A transition in how we interact with electronics is underway. We are moving from using keyboards, mice and graphical user interfaces to using voice, touch and gestural movement. Gestural control will be coupled with haptic feedback. Eventually, we will be able to control computers, machines and instruments with our thoughts alone. We are just beginning to learn how to tap into the synaptic pathways of the brain and translate neuronal signals into electromechanical ones. There are many companies and research organizations that are harnessing existing technology and experimenting with new techniques to make a brain-computer interface a reality. Our knowledge will increase, and brain-computer interfaces will be refined and made more powerful, accurate and convenient. Prostheses will be controllable by thought, making them function more like a natural limb. 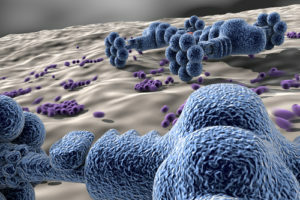 Nanotechnology is becoming ever more important in medical applications. Methodologies for building machines and sensors at the atomic level have seen rapid advancement in recent years, and this trend will continue to accelerate. Nanoscale technology will enable devices that can be powered by the body’s own energy. It will also be used to create flexible circuitry and electronics that will in turn enable the advancement of sensors and devices that conform to skin and other organs and move as the body moves. With functionality accomplished at the nanoscale, design and development activities will focus on interface issues – how best to control such devices and receive feedback from them. The physical form of medical products/devices themselves will become much less important, but the form and design of the control/feedback component will be critical. 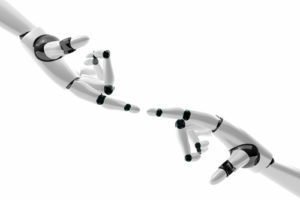 As noted above, nanotechnology will contribute to the development of flexible electronics. Conventional technology is also advancing in this area: using microfabrication techniques, conventional circuit materials are formed into geometry that allows them to stretch and still maintain their function. The electronic components are then embedded within a flexible polymer membrane. Using similar techniques, flexible batteries are being developed to power the flexible electronic devices. The batteries can be recharged wirelessly. In addition to their use in sensing and monitoring, flexible electronics will find uses in drug delivery, where they could provide heat or sound energy to aid large molecule therapies and drugs encapsulated in nanoparticles to be absorbed through the skin. Telemedicine will enable physicians to interact remotely with patients for consultation and active monitoring. It has the potential to be a much more efficient means of providing care. Adoption of telemedicine has been slow due to current reimbursement models that incentivize care in hospitals, clinics and offices rather than in the home or other remote locations. This model will change as the forces behind moving care out of the hospital and into the home grow stronger. Telemedicine will become part of a new healthcare ecosystem that encompasses wearable devices and continuous monitoring of physiology. 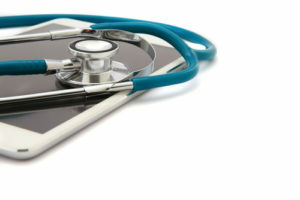 Telemedicine will also enable “syndromic surveillance”: remote patient monitoring can be used to spot incipient symptoms and allow health care professionals to prevent early indications from becoming problems. Diagnostic tests formerly performed by external labs will instead be conducted at the point of care by portable testing devices. Microfluidic and lab-on-a-chip technologies will be used to supply near-instant results. This will allow treatment to be initiated or adjusted quickly, which will in turn improve outcomes. Many point-of-care and at-home diagnostic devices will be in the form of components that couple to smart phones, with the phones supplying the analytical power and feedback to the user, as well as to doctors or clinical experts for interpretation and evaluation. 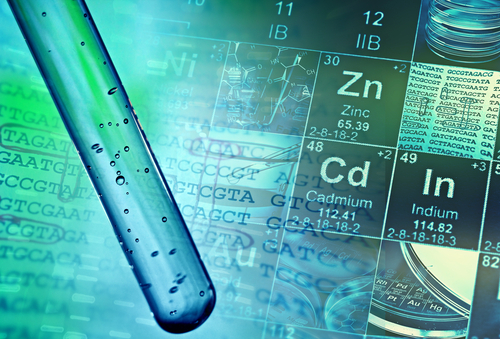 Smart phones might even be used to perform real-time DNA analysis. 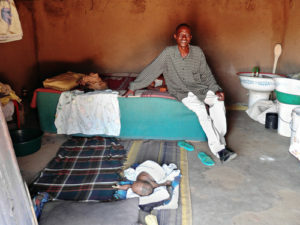 Rather than needing to visit a clinic, patients will be able to perform tests themselves in their homes. Smart human factors design for ease-of-use will be critical for such devices. The current state of the art in robotic surgery is technology that provides surgeons with better control of minimally invasive surgical instruments. Microelectronics and nanotechnology will enable surgeries on internal organs to be performed by miniature robots that are injected or otherwise introduced into the body. 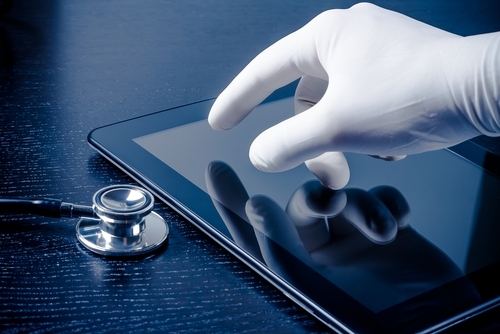 A number of hospital systems are establishing centers to help launch med-tech startups. This is a trend that will grow in the coming years as the healthcare landscape changes. Much of the impetus behind the establishment of these innovation centers comes from recognizing that institutions will need to reduce costs if they are to remain viable. Leading organizations are recognizing that the best ideas often come from their own personnel who work on the front lines of healthcare. The Cleveland Clinic and Geisinger Health System are two of the leaders in this area. Cleveland Clinic’s Innovation Institute helps develop and commercialize product ideas that come from physicians and medical staff. Geisinger’s xG Health Solutions was created to commercialize systems innovations developed at Geisinger that improve patient outcomes and reduce costs. To an increasing extent, we will see medical devices, products and health care innovations coming directly from hospitals, health systems and others involved at the first levels of patient care. There will be a major push – already underway, in fact – to understand how the brain functions and how we might be able to repair neurons and nerve pathways to restore abilities lost to injury or aging. New imaging techniques and optogenetics will contribute to our ability to study discrete brain systems and even single neurons. Our understanding of the brain will grow exponentially in the coming years. Its impact on medicine will be of major significance. More and more manufactured objects are coming with sensors and actuators and with electronics that allow them to send and receive signals wirelessly. The collection of these objects that can connect and communicate with remote servers and with each other is being referred to as the “Internet of Things.” Its implications for medicine and health care are far-reaching. The current trend is toward wearable sensors and medical devices that can monitor our physiology, enabling us to reach health goals and warn of impending health problems. With the Internet of Things, that functionality will be provided by the objects in our environment. A video camera embedded in your bathroom mirror will monitor your blood pressure and heart rate by imaging and analyzing the blood that enters and leaves your face as your heart beats. The data will be displayed on your mirror as you go about your morning routine. Sensors will be installed in car seats and steering wheels. They’ll be mounted on the walls of your home and embedded into the door jambs in your office. The Internet of Things will make ubiquitous automatic monitoring possible. With sensors in our machines, gadgets, vehicles and buildings, the physiological signals that have a bearing on our health status will be automatically captured, transmitted, analyzed and the results reported to us. The standard of care will be 24/7, rather than seeing your doctor only once a year or when a health problem has developed. The Internet of Things will also affect medical waste disposal, device tracking, drug tracking and authentication, compliance, patient safety, machine/instrument maintenance, and many other factors that impact medicine. Artificial intelligence will be used to help design new drugs and to simulate the effect of therapy before it’s administered. Supercomputing systems, such as IBM’s Watson, will be harnessed to aid in diagnostics and provide doctors with esoteric knowledge to which they would otherwise not have access. Devices such as Google Glass will be used to provide health care personnel real-time access to expert systems. We will soon have entirely new ways of treating disease. We will also have powerful tools that help us maintain wellness. Medical devices will shrink in size to microscopic levels. We will become exponentially better at diagnostics and prediction. Our health care delivery infrastructure will be vastly different than it is today. Those involved in the health care industry will be successful if they anticipate and plan for these changes. There are significant opportunities in this new world.